A scary prospect right? Well, I wasted most of my 30s with a bottle of wine in my hand. When I reached the age of 36 I decided I needed to deal with this problem or everything was going to crash down around me. It was only getting worse. 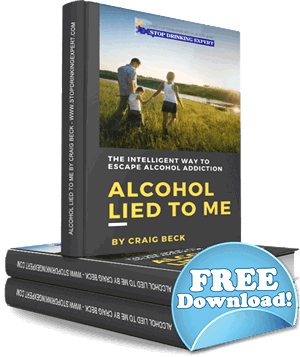 I don’t believe I was an alcoholic, and I still don’t – because I believe the word has some unhelpful connotations. However, I would say I probably drank at least 5 days out of the 7 most weeks, and it got worse on the weekend. Maybe I was an alcoholic by the AA definition of the word. Let’s not get bogged down with labels. If you believe you might have a problem, like me, first find some professional advice by talking to your GP. However, be prepared that your GP may not be very helpful. When I finally plucked up the courage to talk to my doctor he had virtually no help to offer. He simply agreed that I was drinking too much and that I should cut down. Wow, thanks for nothing! I’m now 43 and still on the wagon, but I can remember how tough it was to finally make that call to quit drinking alcohol. If it’s something that you’re thinking about doing, even if only for a short amount of time. Here are seven tips that should help you in the process. Inform the people who you normally drink with that you’re going to be taking a rest from alcohol for some time, that doing it is serious for you. Accept that it’s going to be difficult so you need their support while you do it. Describe your reasons for doing it and discuss times when you think you could be persuaded to drink. When that happens you’re going to want their help when that temptation kicks in. Your real friends will support you. Be warned that other problem drinkers may try to derail your attempt to quit drinking alcohol. Stay clear of these individuals. I originally planned not to consume alcohol for one month, which is no big deal. Even in the middle of my drinking career, I could go 3 months without a drink. I did this to prove to myself that I didn’t have a problem. That is insane! Have you ever gone 3 months without potatoes to prove that you don’t have a problem? My advice is never say never! Rather than claiming “I’m never drinking again”, you may find it less complicated to go dry for a week at a time. Then a month at a time. You’ll reach every target more easily than the last, even though it will be tough at the start. If you need something to entice you along, then reward yourself for hitting each milestone. A drinking problem is expensive and you will quickly notice that your bank account looks a lot healthier. When you first notice this, buy yourself a nice gift as a reward. Or reward someone in your life who deserves a treat. 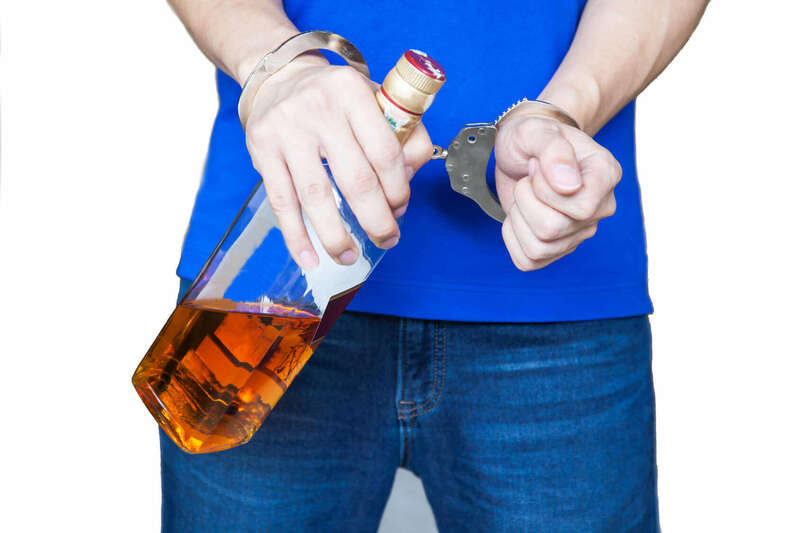 Alcoholism makes us bad friends, poor parents, and selfish partners. There will be people in your life who have suffered because of your drinking. If your personal life typically involves alcohol, then in the initial days plan all your social routines, and include as many points that don’t focus on drinking alcohol that you can. It may be challenging, even something like visiting the movie theater can include an alcoholic beverage before or afterward. I would sneak in a small bottle of whiskey and pour it into a big gulp soda! Remember the HALT process of quitting drinking. Keep yourself active for the first few days. Avoid ending up hungry, angry, lonely or with time on your hand and with nothing to do. This is when the abrupt impulse to consume alcohol is most likely to attack, particularly if you’re used to drinking regularly. In the short term, stay clear of doing anything where drinking is the only activity if you can. No surprise that when I was a drinker, my wife did all the driving. If you’re going on a night out and can drive, do so. It will stop you from drinking, and you can make a quick getaway when your buddies start boozing on the hard stuff. It no fun being sober when the shots come out or people start getting stupid! Plus you can always give your buddies a lift home if they’re drinking. Being the designated driver gives your friends another reason to help you through this. There’s no need to purchase rounds anymore, you don’t want to be matching folks ‘drink for drink’ if you’re on plain old sodas. Big gulp coca-cola gets monotonous, not to mention the furred teeth and sugar rush to get over. Go at your personal speed. Drinkers are not drinking so much because they are thirsty! Don’t feel like you have to get your buddies drinks. Your buddies will most likely get yours anyhow. Besides, you’re providing a lift home later. It gets very boring drinking glass after glass of Coke, my go-to drink is tonic water. It’s not quite as sweet. There are tons of alcohol-free beers on sale in Grocery stores, try them all and find one that you love. They vary from frosty lagers to genuine wheat ales and are generally fairly cheap. Usually, I find just one is enough to appease any craving I have, but I’ll typically bring a pack to a party. Usually, anytime I tell people that I don’t drink, they feel the need to talk about it. Overall, people are surprisingly supportive and tell you about periods in their lives where they’ve attempted to do it on their own. They might ask for your reasons why you need to quit drinking. So, have some stock answers ready to go, particularly if the real justification for your decision to quit drinking alcohol is something private and personal, that you don’t want to share. Quit Drinking, Is It Time For You? When you get to the point where you are sick and tired of feeling sick and tired then don’t put it off. So many people push this problem to the back of their mind. The best time to have quit drinking alcohol was ten years ago, the next best time is right now. Click here for more information on the Stop Drinking Expert online alcoholism rehab program.